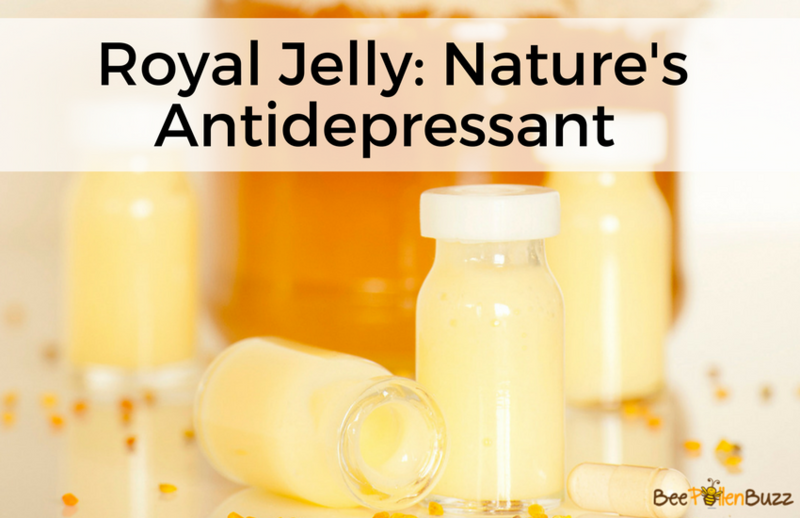 Could Royal Jelly Treat Depression and Anxiety? 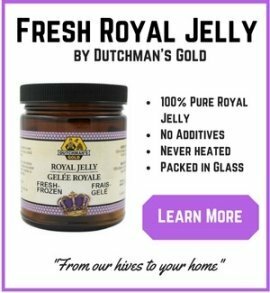 Not only is Royal Jelly an effective skin and hormonal tonic, but now it appears that it may have benefits for reducing extreme stress and possibly even depression. In a recent study, scientists subjected mice to a extremely stressful exercise protocol that was designed to over-stress the poor mice and induce symptoms of depression and anxiety. They were then given royal jelly to determine if it could alleviate their symptoms. Using these experimental systems, the scientists found that a very unique compound found in Royal Jelly called HDEA (10-hydroxy-trans-2-decenoic acid), protected against depression and anxiety when injested once a day for 3 weeks during the extremely stressful days. They went on to conclude that this special compound, HDEA, found naturally within Royal Jelly, is effective in improving the stress-induced symptoms of depression and anxiety. Now, depression is a very serious condition. 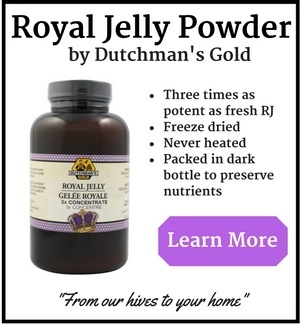 Royal Jelly should not replace anyone's medications and much more research needs to be done in humans to determine exactly how much Royal Jelly should be consumed to aid in the symptoms of depression or anxiety. 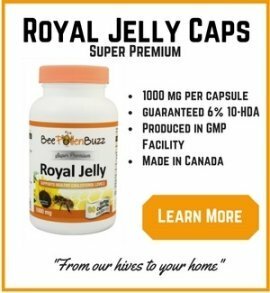 If you currently take Royal Jelly or are interested in using Royal Jelly for any mood disorder, I would suggest you only do so under the supervision of a trained health care professional. If that is not an option for you, then the smartest way to test if royal jelly may help your condition is to begin by taking small doses and slowly increasing it while carefully monitoring your symptoms. I also suggest you consider using an Omega 3 supplement that has additional EPA in it along with a premium multi-vitamin and mineral supplement. Along with this, consider taking a 5-HTP supplement. 5-HTP is a precursor to serotonin, which is the hormone that makes us feel happy and has been used by many to wean themselves off of antidepressants. The full study was published in the journal Evidence Based Complementary & Alternative Medice, 2012;2012:139140. Epub 2011 Jul 24.